Judge Jeanine Pirro opened one of her recent shows by explaining that Trump supporters need to brace for violence against them by the left to get much, much worse. Saying that the left uses their “air of condescension” to push their hate of Donald Trump as well as his supporters amd that they have sanctioned “the use of violence against them,” by looking to normalize physical violence as long as they disagree with your politics. Recently, my friend YouTuber Blaire White was attacked for wearing a Make America Great Again hat in Hollywood. It’s all been caught on camera. Blaire is a transgender woman who has expressed support for Donald Trump in the past, but is probably not best described as conservative, but rather friendly to many conservatives due to a pro-free speech stance. 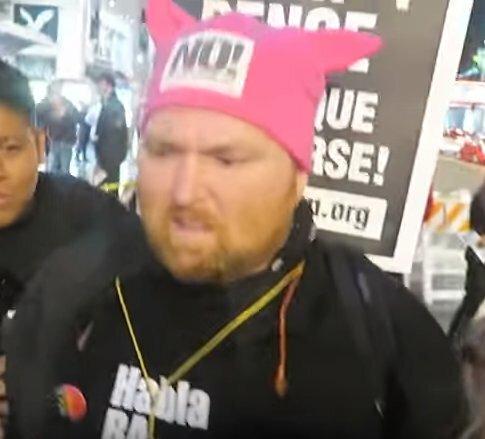 Even the people who most of us would think would be held up like royalty by the progressive left are still attacked and have alcohol thrown on them if they dare to walk around in a Trump hat with someone clearly filming their interactions. If you’re a left-wing pet, you’d better not stray off the farm or you’ll be just as bad as those Straight White Privileged Men who are evilly running the whole world. She also posted a photo of one of her torn-off nails caused by a “fat feminist” and a selfie showing her watering eyes after someone threw an unknown substance into her face. You can watch the six minute video of what happened here, in a video that has earned over 220,000 views since it was uploaded yesterday.